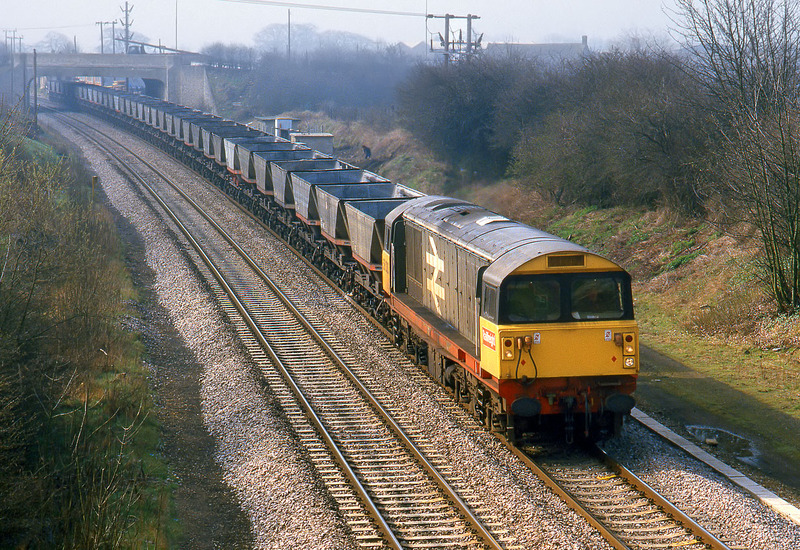 58030 approaches Thrupp on 25 April 1986 with the 6E60 08:50 Didcot Power Station to Barrow Hill MGR coal empties. Just beyond the bridge in the background is the site of Kidlington station. This view is no longer possible due to uncontrolled lineside tree growth.